Vodafone Essar has issued a legal notice to a customer for repeatedly posting defamatory remarks about the company on Facebook. The company alleges that the customer - a Dhaval Valia from Mumbai, India - had an argument with an officer regarding their services and also posted contact details of top management officials on Facebook and sent them unnecessary SMSs. According to various media reports, the Vodafone spokesperson has confirmed the notice and mentions "unusual and improper dealings with women employees"
Last year Bollywood actor Amitabh Bacchan had threatened legal action against Bharti Airtel for alleged brand infringement. Vodafone Essar has 136.97 million subscribers in India as of April 2011. The company recently posted a 23.95 per cent increase in revenues to $6.16 billion for the fiscal year ended 31st March 2011 compared to $4.97 billion in the previous fiscal. The ARPU in March 2011 was at Rs 171. 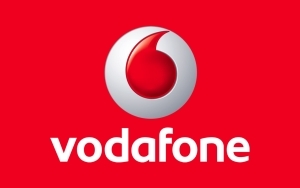 Vodafone is also piloting its mobile money transfer platform in India.